detail of The Sun, the Moon, & all my Heart (watercolor on 1/2 sheet heavy watercolor paper). Started this piece a month ago, and I put it away several times to “let it rest.” Pushing and pulling…working through the composition, enjoying the flow of watercolor. 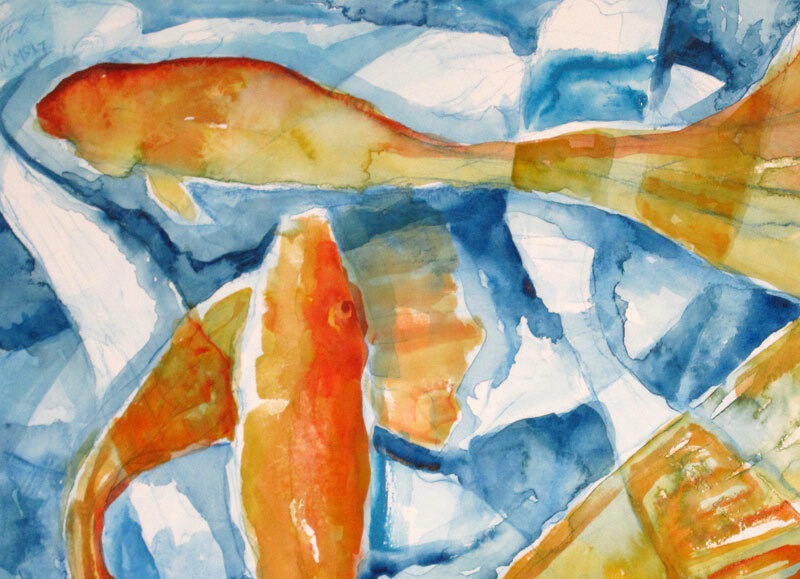 This entry was posted in Uncategorized and tagged abstract, fish, Koi, Linda Kay Thomas, Linda T Snider Ward, Louisiana artist, N.A.W.A. artist, watercolor. Bookmark the permalink.